Every day, thousands of people take to the tennis court worldwide. All of these athletes are engaging in a recreational activity that is both social and an effective form of exercise. They also subject their bodies to similar stresses - ballistic movements and repetitive motions. These stresses, as in any athletic activity, are local in the sense that they occur at specific parts of the body. However, they can also be viewed as catalysts for global challenges, because local dysfunction can have systemic effects. In addition to foot, ankle and knee stressors associated with hard foot plants, these athletes also put significant unilateral torque on their side of dominance, particularly when serving. A tennis player's serve is similar in motion to that of a baseball pitcher or a football quarterback, who brings his or her arm into abduction, coupled with negative X-rotation, to the extent that the rotator cuff muscle groups must stabilize the glenohumeral joint in almost a compromised position. However, in tennis, there is the added component of the racket, which increases the workload by extending the distance from the shoulder to the moment of impact. Despite these upper-extremity considerations, over 50 percent of the total kinetic energy and forces generated to serve a tennis ball are derived through hip, trunk and core muscular activity.2 The shoulder joints, particularly the glenohumeral joint and the supporting soft tissue (especially the rotator cuff muscle group), are merely components of the kinetic chain.3 Accordingly, the shoulder generates only about 20 percent of the necessary energy to serve a tennis ball,4 and these muscles and joints are more likely to be injured via a mechanism of repetitive motion than by a single impact. Chris Isburgh is the 38-year-old resident tennis pro at the Super Clubs Grand Lido, Negril (Jamaica) resort. He is certified through the United States Professional Tennis Registry (USPTR). He has competed at the international level since he was a junior; he now has over 25 years of experience as both a competitor and as a coach. Chris is also a competitive recreational soccer player. He has never had an injury more serious than a sprain or strain. He teaches tennis approximately 30 to 35 hours per week when in residence at the Grand Lido, and he travels to the United States to teach and coach at various camps seasonally. Chris reported that his chief complaint was soreness between his shoulders from "feeding balls to students." This is a repetitive motion stress caused by continually hitting tennis balls in specific places so that his students may practice returning ground strokes; a typical half-hour lesson may result in as many as 50 such "feeds." Additionally, he reported that he suffered from headaches, once or twice weekly, which were not debilitating and usually resolved on their own. The physical examination revealed a well-conditioned professional athlete living in a lean, muscular body. Cranial nerve function was intact, and his blood pressure and respiration levels were low. His cervical and lumbar ranges of motion exceeded normal. Cervical compression tests (foraminal compression, Jackson's compression, and maximum cervical compression) were all negative. There was no reason to suspect a cervical nerve root compressive lesion at any level. Likewise, orthopedic testing (Fajersztajn's, heel/toe walk, straight leg, Kemp's test) ruled out a compressive lesion in the lumbopelvic region. Provocative palpation uncovered a number of scapular area trigger points and hypertonic muscles that were tender to the touch. Both Apley's scratch superior and Apley's scratch inferior demonstrated greater range of motion on the left-hand side than his dominant right-hand side. The side of dominance, which was subjected to more repetitive motion, was inhibited. Thus, Chris began his first-ever series of chiropractic treatments. His first treatment was brief, involving neuromusculoskeletal re-education (soft-tissue techniques while the involved muscles were moved through both active and passive ranges of motion), and he was adjusted at the cervicothoracic junction. He was also instructed to do deep-breathing exercises, transverse abdominus exercises to promote core stability, and shoulder (rotator cuff) stretching exercises. After his first treatment, Chris stated, "I feel looser." He was treated twice weekly, for a total of six weeks. Over this course of time, treatment protocols were increased; that is to say, as Chris became more acclimated to chiropractic care, he was adjusted at more joints and neuromuscular re-education was performed more vigorously on more muscles. Joint dysfunctions (subluxations) were particularly noted at the cervicothoracic junction areas, as well as in his sacroiliac. From a spinal perspective, the expectation is that these areas of dysfunction may relate to his personal style of playing tennis and his own biomechanics, but there is no reason to suspect that every tennis player will share the same experiences from a specific, articular perspective. Additionally, Chris was adjusted at his subtalar joints, tarsals, tibial-femoral joints, carpals, and radial heads. Like the spinal joints, these extravertebral joints that were adjusted were probably related much more to his own experience, and not necessarily to every tennis player's experience. However, much more neuromuscular re-education was performed on his right (dominant) side than on his left. Given the specific muscles that were indicated and the mechanics of his sport, this treatment, we believe, is more tennis-specific. Practitioners simply must consider the side of dominance when treating repetitive motion disorders with soft-tissue techniques. In this specific case, particular attention was directed toward the bilateral subscapularis and bilateral piriformis. Unilaterally right-sided supraspinatus, levator scapula and psoas muscles were also worked on. Interestingly, very little work was preformed on the patient's elbows. While clinicians are taught to think of "tennis elbow" and other forms of inflammation at the olecranon and epicondyles as being tennis injuries, Chris stated that this was a "problem caused by poor technique. If a player grips the racket properly, especially as he hits the ball, it shouldn't happen." From a humanistic aspect, the most important thing that Chris reported was that he didn't have a single headache during the entire six-week course of treatment. From this, we can reasonably hypothesize that his headaches were a product of dysaffrentation,5 and the chiropractic adjustment provided sufficient afferent input to raise the frequency of firing of his central integrative state such that he no longer perceived headaches. From the perspective of treating an elite, professional athlete, some exciting things occurred. First, Chris reported a resolution to his chief complaint of tightness between his shoulder blades. This is significant because something chiropractors, regardless of our treatment styles and clinical orientations, must agree upon is that the fundamental goal of our treatment is to help our patients live their lives in comfort. In this case, chiropractic care was profound enough to relieve the neuromusculoskeletal tightness between an active athlete's shoulder blades, and help him toward achieving a better comfort level within his own body. This is significant, because this is a person who constantly reaggravates that complaint for over 30 hours per week of repetitive, physical activity. Thus, we are working with a patient who is, in a sense, working against us. Yet, we were able to break his pain cycle, a good testimony for our service. Second, at the onset of treatment, Chris reported that he could consistently serve a ball between 90 and 95 miles per hour into play. While we didn't have access to a radar gun, he stated, "I'm serving harder. I don't think; I know - I'm serving the ball harder." Once again, it is reasonable to hypothesize that by lengthening the muscles that rotate and stabilize his shoulders and by the adjustment to restricted joints, Chris was enabled to move more fluidly, quickly and efficiently. Thus, he generated more power when hitting the ball, especially his serve. Furthermore, we can hypothesize that the addition of specific core stability exercises enabled him to achieve better balance and proprioceptive abilities, as he was able to stabilize his body through these ranges of motion. He also reported that he had more energy and he wasn't as sore after a hard workout on the court or in the gym as he was prior to the treatment. In general, he stated repeatedly that he felt "lighter; free-like; so much looser and more relaxed in my body." It is of the utmost importance to note that Chris was absolutely compliant in his shoulder and rotator cuff stretches, core stability, and breathing exercises. In fact, he was especially pleased to do the exercises because in turn, he taught them to his own students, stating, "The more I can teach my students, the better a coach I will be." The best testimonial to his satisfaction with this course of treatment is the fact that he referred his own students for chiropractic care. No doubt, conservative chiropractic care is an appropriate course of treatment for tennis-related neuromusculo-skeletal conditions. Furthermore, we can hypothesize and offer scientific and research-based mechanisms as to why treatment was so successful in this specific case, and why we believe it will be successful for other tennis players. 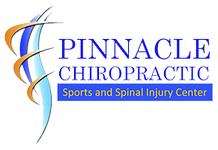 Chiropractic treatments that include the lengthening of muscles, the adjustments to joints, and the improvement of core stability, will enhance biomechanical integrity and drive neurological function to the extent that athletic potentials can be met, and capabilities may even be enhanced. This hypothesis applies to both beginning and recreational level players, as well as to advanced, international competitors such as Chris Isburgh. Hooshmand H. Chronic Pain: Reflex Sympathetic Dystrophy Prevention and Management. Boca Raton, Florida: CRC Press, 1993. pp 37. Toyoshima S, Hosikawa T, Miyashita M, et al. The contribution of body parts to throwing performance. In: Nelson R, Morehouse C (eds). Biomechanics, vol. 4. Baltimore: University Park Press, 1974. Souza T. Shoulder rehabilitation, part III. Dynamic Chiropractic, May 31, 1997;15(12). Kibler BW. Biomechanical analysis of the shoulder during tennis activities. Clin Sports Med 1995;14 (1):79-85.